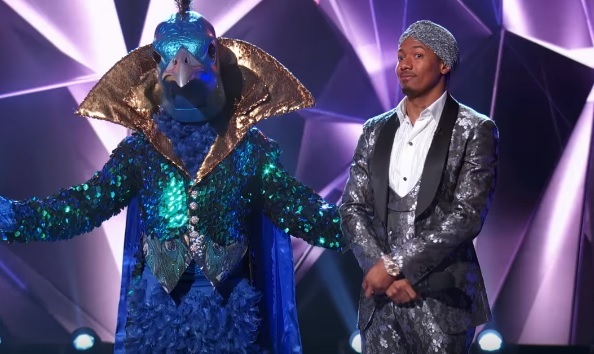 The Peacock was one of the four mystery celebrity contestants who performed on “The Masked Singer” Season 1 episode 6 titled “Touchy Feely Clues,” which aired on Fox on February 6, 2019. She competed against the Bee, the Raven and the Monster. During the solo performances, the Peacock was the second to perform. He sang “All of Me” by John Legend. Released on August 12, 2013, “All of Me” was Legend’s first number-one single in the United States. He dedicated it to his wife Chrissy Teigen and co-wrote it with Toby Gad. Before singing “All of Me” on “Touchy Feely Clues,” the Peacock said people recognize him without his mask and they want to chat. He performs as his 176-pound real self by day, he added. Like in the previous episodes, the Peacock impressed panelists Ken Jeong, Nicole Scherzinger, Robin Thicke and Jenny McCarthy. Scherzinger described the masked singer’s voice as a mature sound and thought he was a magician. With a dance remix, the “All of Me” version of the Peacock sounded auto-tuned. While he was performing, McCarthy said he could be Osmond. Thicke suggested Neil Patrick Harris while Jeong said the masked singer looked like a thin version of David Hasselhoff or David Copperfield. “Because of this wig, I was thrown in jail,” the Peacock said when he showed a long-haired wig as his onstage clue with host Nick Cannon by his side. McCarthy insisted he could be Osmond while Scherzinger guesses Wayne Brady. In the end, it was the Raven who received the lowest number of votes from the audience and the judges. She unmasked herself and was revealed to be talk show host and actress Ricki Lake.